As of 9am this morning Ugly Bug Plans is reopen and we have listed new stock in the way of planner stickers and charms. One thing that has not yet made it back into the shop is our handmade, leather travellers notebooks. This is due to the fact that we had such a high demand for them that we are still completing orders. We plan on having them back up in the shop in the next few days. Whilst we have been closed we have been working on new designs, the old design: the Juicy, has been modified and renamed and we now have 4 different styles (all with different price points) and that is what I am hoping to explain with this post. Fields (Forest Green), Hot Chocolate (Dark Brown), Mr J (Purple), Sunshine (Yellow), Clown Fish (Maroon), Ocean (Turquoise), Night Sky (Navy Blue), Bare Essentials (Undyed), Skyscraper (Grey), Autumn Fall (Tan), First Kiss (Violet), 8 Ball (Black). How have the products changed? All of our leather products are still completely hand made, we cut, dye, stitch and finish every single product. We use 2-2.4mm leather for our back plates and 1.2-1.6mm leather for the pockets, we only use Full Grain leather which ages and patinas beautifully and carries the scars of the animal which means no 2 planners will ever be exactly the same. Hand stitching our products makes them stronger and more durable meaning they are built to last and can withstand even the heaviest use. 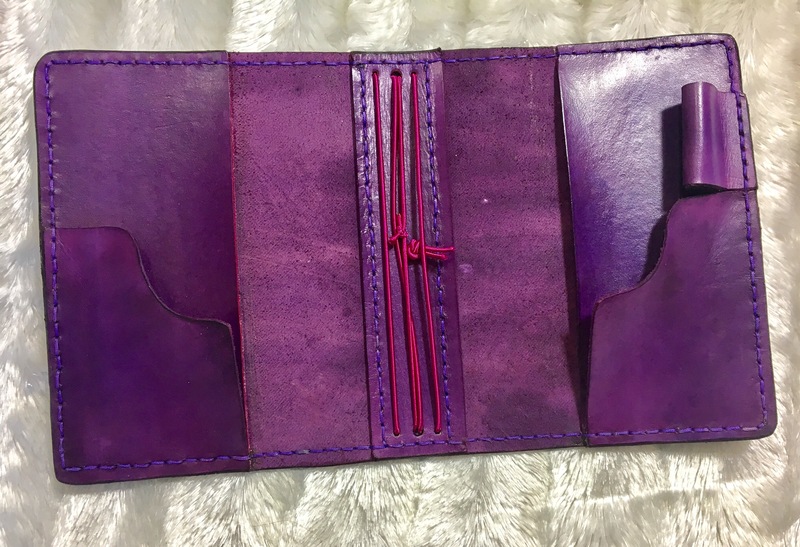 We love to see a stuffed notebook so all of our products are wider than standard and can fit extra books with extra elastic. The following notebooks are all available in Pocket, A6, Personal, Regular and A5 sizes. LADY : This is the most basic of our TNs and is simply the cover (2-2.4mm leather) with an elastic closure and 4 elastics inside. Can come with or without pen loop. 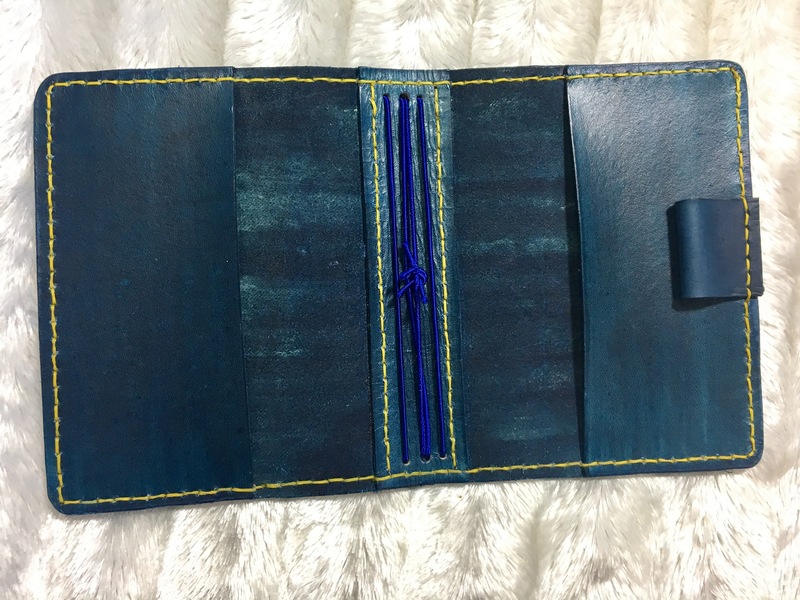 Hopper : This is the same as the LADY but has a 1.5″ reenforced spine stitched on the inside and a full size sectorial pocket on the (inside) front and back cover. Pider : The Pider is the closest to the older style UglyDori except all sizes now come with just 1 large pocket and 2 half pockets on both front and back covers. Every planner is custom built so, as long as you message within 24 hours of your order, things can be changed to suit you perfectly.